I posted this image on Instagram the other day and got one of two responses. Some were intrigued and wanted to know more about where and what it was, but the people who already know where it was, they wanted to know what the hell I was doing there. Bordering the likes of the Belmont Mansion, the Condos at 2600 Culture Wipe Pike, and Music Row; Edgehill is the last real holdout of gentrification anywhere around it. In 2013, it “won” one of the most dangerous neighborhoods in the U.S., but Nashvillians know it better for the six foot tall, 800 pound polar bear statues. 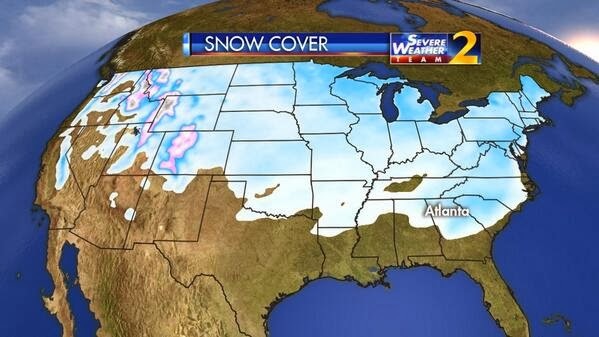 So, why are there polar bears in Nashville, TN, the very home of the snow dome? The answer is custard. 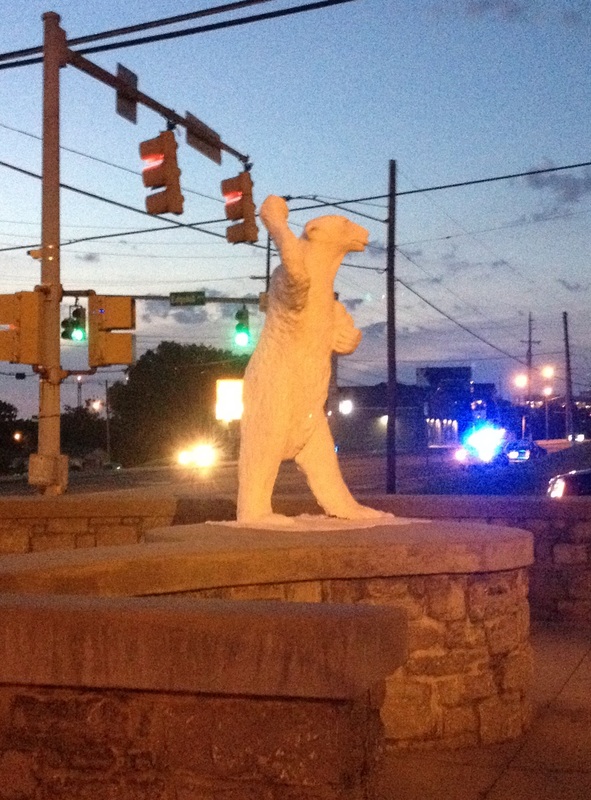 A man by the name of Gio Vacchino of the Mattei Plaster Relief Ornamental Company created the bears for the Polar Bear Frozen Custard shops on Gallatin Road and West End Avenue (in Nashville. No one knows for sure how many more he created for shops all over the Southeast). Custard wasn’t quite the craze everyone thought it would be I guess, so after WWII, the shops closed and the bears were bought by Reverend Zima Hill for his front yard at 1408 Edgehill Avenue. He also placed two in front of the local funeral home. 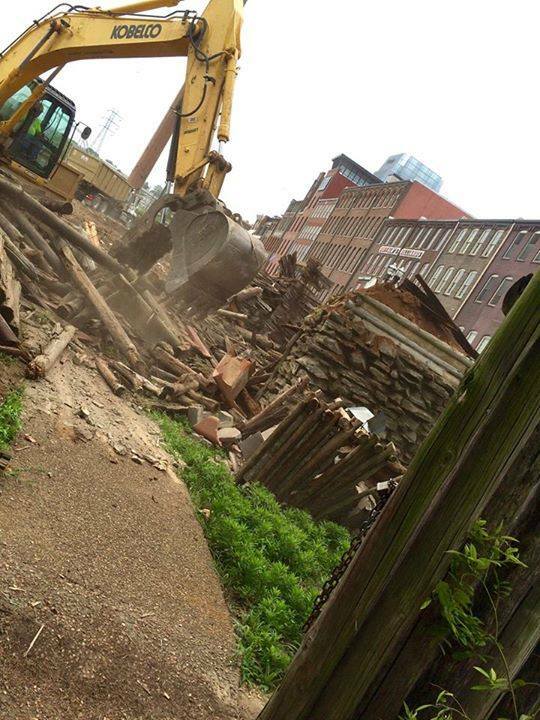 The two at the funeral home were sold (one lives next door to the famous meat and three Monell’s in Germantown; the other is broken and in a backyard down the street) and the other two ended up as property of the city once the home at 1408 Edgehill was sold (1408 Edgehill is currently a halfway house called Oxford House- Polar Bear). Students from Tennessee State University were a part of the team to restore the crumbling polar bears, and in 2004, MDHA created the Polar Bear Plaza at the corner of Edgehill Avenue and 12th Avenue South. In the winter make sure to drive by and see them all dressed up for Christmas with garland, just waiting for the snow that will never come. 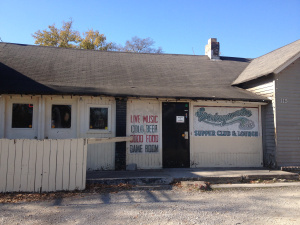 Day drinking on the back porch at one of Nashville’s oldest (and diviest) bars, the Springwater, isn’t for the timid. You will almost certainly be sexually harassed by beloved eccentric Dave Cloud (even if you’re male), catch a contact buzz, and possibly contract “insert popular STD here” from the toilet. Half jokes aside, the one fact about the Springwater is that everyone – everyone – loves to talk. Last Sunday was a particularly beautiful day and the old folks were out. I met a man who described himself as a local historian and we started talking about the many legends of the Springwater. I think everyone in town has heard that Al Capone would hide out there when things got too hot up north, but there’s never much more to the story. I asked Mr. Local Historian to tell me more about the history of the property where the Springwater stands and I could make a damn Buzzfeed that could read ’10 Things You Won’t Believe About Your Hometown’ and most of them would be about 115 27th Avenue North, Nashville, TN 37203. To start, the front entrance was the original building. The music room was added later, and of course the porch much later. In 1779 it stood as a house, which was surrounded by natural, freshwater springs (hence the tip of the hat with the current name). It was the last freshwater stop before getting to the Cumberland River, so it became an trading post around 1780-1801. In the original structure, where the benches on the side of the pool table are, stood a fireplace. You can still see where it has been bricked up. Everyone’s pretty sure Al Capone partied there, and that Hoffa gambled there in the 60’s is well known. And everyone from Hank Williams, Sr. to the Black Keys have paid their respects to the golden god at beer church there. The Springwater itself was incorporated as a business in 1978, but the property has played a huge role in the lives of Tennesseeans for well over 200 years. May it live on for 200 more. To read more about the area around The Springwater, visit my other blog here.